Budgeting when you have a regular, steady income is a pretty straight forward process, but if you work in an industry where your income fluctuates, or you’re self-employed like I am, budgeting might seem a little harder. 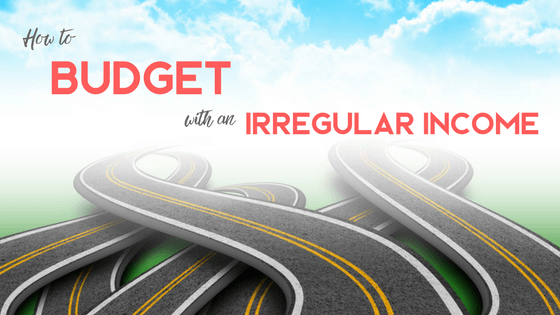 Luckily, there are several different ways you can budget if you have an irregular income. The key is figuring out which one works best for you and your family. That said, here are a couple of different ways you can budget with an irregular income. One way to budget with an irregular income is to take an average of the last 3-4 month’s incomes and use that figure to budget. 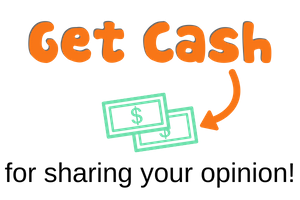 This is a great way to budget if you expect your income to continue to rise, because you’ll likely have extra income about the amount you use to create your monthly budget. But, if your income is truly flexible it might sound scary to budget off of an average. After all, an average is above what you have earned in some months. If you have a month where you earn less than the average figure you used to budget, you’ll have to cut some discretionary expenses to make up the difference. I’m not going to go into a lot of detail on this one because Chris explains more about budgeting with an average income here. 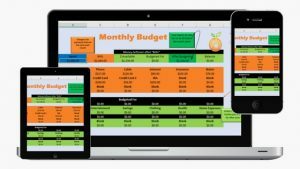 I actually decided to take a different approach to budgeting with my irregular income. 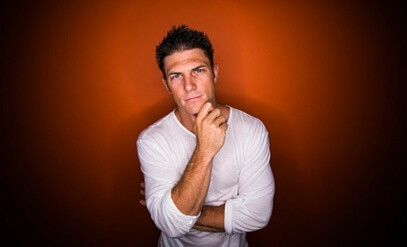 My plan is to operate off of a bare bones budget, or as bare as I can get it with the extra expenses I’ve had lately for medical care and car repairs, while I build up a buffer of extra income in my business account. At this point I’ll be living on last month’s income so I’ll always be a month ahead. This will help me to know how much money I have to budget with every month for my zero based budget, and also to weather the storm if (ok, when) I have a slow month of self-employment income. The bottom line: if you’re not measuring the money, there is no way you will ever manage it. Having an irregular income doesn’t mean you can’t or shouldn’t have a budget. 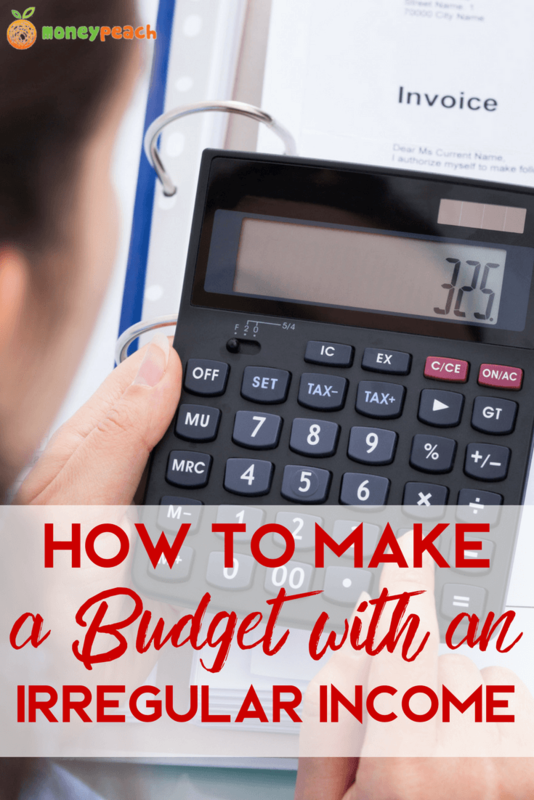 Everyone needs a budget, and in my opinion those with irregular incomes need a budget even more so than those with steady, predictable income. The key to budgeting with an irregular income is to figure out what method works best for you, and then putting that tactic to use every single month. This is great in theory but what if you don’t make enough to have an additional month on the side? If you barely have enough to scrape of incidentals, what are your options? Part of our income is steady but it doesn’t cover everything. Then another chunk of it is commission based. There are some months where that commission is 0. At this point in time, having that extra month is not going to happen so this plan won’t really work for me. I don’t know if I am doing the right thing or not but I work in two week increments but have multiple weeks of budgets ready so I can see if I am going to be short one week and I check to see if I can borrow from the week before. Regardless, I always seem to go over no matter how hard I try to prepare. Something always comes up that wipes out anything I’ve put aside. There are times where I’ve even made huge headway on my credit card debt only to have to use the same credit card to handle some emergency. I just don’t have enough extra to play with. I used to feel that way too. I guess the key to fixing that problem would be to take on a side hustle (at least temporarily) to help you build up a buffer. Do you have time for one alongside your job? That’s what really helped me start getting ahead of my bills and the little things that pop up too. Nice article, and awesome topic. I agree that the more irregular your income, the more important it becomes to know exactly where your money is going. At the very least it will help to normalize your expenditures by living your life on less than your best-income months. Doing this will also help you to save more than you probably otherwise would. Thanks so much Steve! I’m glad you enjoyed it. I’ve found that an irregular income doesn’t have to be scary, but you definitely need to budget off of a lower number than your highest monthly income that way you aren’t in trouble if your income is lower than expected. Thanks Deacon! 🙂 It was nice to run into you at FinCon a couple of weeks ago. I like the idea of living off last month’s income. I keep a separate account that I have buffered for the year so I simply transfer over to my checking exactly what we need for the month. That way I won’t be lured into spending more than needed for a month. That’s a great idea Steve! I’m glad you are on board with living off last month’s income. I think it’s a great way to do things too. Great tips. We focus more on tracking than budgeting, but we have a regular income and have most expenses in frugal mode. I’ve always wondered how to budget as a freelancer or other irregular income, and living on last month’s pay seems like the best approach. Hey Kalie, when I had a regular/steady income I mostly tracked expenses too. I did make a monthly budget, but I already knew exactly what would be coming in and what would be going out of my account every month. Irregular income makes it harder, but it can be done. Creative ideas , I was enlightened by the details . Does anyone know if I might grab a fillable a form example to complete ?